Ongama is a lecturer and PhD candidate in the Political and Conflict Studies Department at the Nelson Mandela University (NMU). He writes on political economy, economic development, and transformation. His PhD research is focused on the “Political Economy of Transformation in the Construction Sector in Nelson Mandela Bay From 2005-2015”. For his masters (completed in 2011 at NMMU), he focused on the political economy of industrialisation in South Africa, using the Coega Project as his case study. Following his BA degree from Rhodes University in 2005, Ongama gained over 10 years’ working experience in industrial development, local government, and community-based health, education, and psychosocial development as well as strategy and consulting services to national and Eastern-cape based small business development agencies. 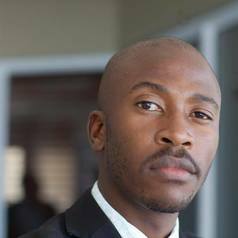 He was the Nelson Mandela Bay Business Chamber’s Top 40 under 40 in 2011.